Human Resource Admin Software and Payroll Services by PSIberWorks has been used by Pay Solutions since the inception of our business ten years ago. PSIberPAY is the payroll module of the PSIberWorks Suite and a perfect fit for our payroll services & client’s payroll requirements. The PSIber Team pioneered the concept of “do it yourself” – “pay as you go” web based payroll in South Africa. They are still the leading supplier of these payroll services. The PSIber Team also pioneered the concept of online tax returns in South Africa in 2001. 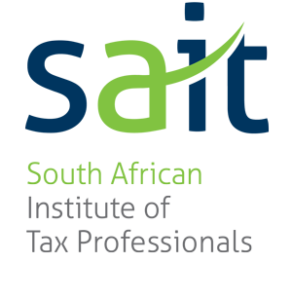 Today it is known as the SARS e-filing Service – then known as MyTax. All this is part of the PSIberWorks Payroll and Human Resource Admin Software. 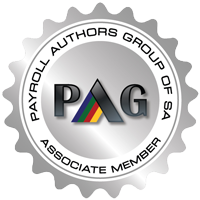 Most businesses have heard of Pastel Payroll which has been used for many years. Payroll packages can offer unique benefits to your company such as an integrated solution for payroll and human resource management or a simple start-up business payroll solution. However, the PSIberWorks range offers an easily accessible online system ideal for small / start-up businesses up to many thousands of employees. It is however entirely dependent on the specific payroll needs of your company. It is important to do comprehensive research on payroll packages and speak with experienced and knowledgeable staff about your requirements before purchasing a payroll package. We process our entire monthly, fortnightly & weekly payroll using the PSIberWorks Payroll and Human Resource Admin Software. We are able to access the payroll anywhere – even do the SARS e-filing submissions while on holiday in the UK!! We can process the payroll; create many reports, customised to our clients’ needs, including the payslip template. These can be e-mailed to employees or hard copies can be printed. We can issue our clients with an electronic interface to their General Ledger. Simply furnish us with the file lay-out and we can extract the information in the format required. A comprehensive payroll service. Our payroll is date driven, so we can pull reports from previous years and for as many years back as the payroll goes. Many other payroll services do not have that facility and have to restore a backup to get that information. Because it is date driven, the system can automatically pro-rata salaries for a new engagement that starts during the month; or a termination that happens mid-month. No need to do manual calculations – the system does it all. We are able to offer our clients an employee self-service option whereby they can apply for leave and even check leave balances. The application is sent to their manager which can be accepted or rejected. The system will update the leave module immediately and send the employee confirmation of the outcome. PSIberWorks Payroll and Human Resource Admin Software also has a handy tax structuring tool called PSIberTax. This has all the latest tax rules built into it. We can give our clients access to this and they can assist their employees to structure their packages. On the other hand, they can simply contact us and we will do the necessary calculations for them. PSIberWorks also has a Human Resource Admin option. This enables us to capture training details, disciplinary information, staff movements within the company. This allows one to report on many HR functions including the Work Skills Plan and the Employment Equity. These are governed by the Labour Relations Act & the Basic Conditions of Employment. There is also a Human Resource Admin Management tool which helps companies manage their organograms, job descriptions, training management and performance management requirements. If you would like to hear more about how we use PSIberWorks Payroll Services and Human Resource Admin Software, contact us for more information.